Here’s a startling statistic: More than one doctor per day commits suicide. This is a rate higher than in any other profession, and double the rate within the general population, according to Medscape. In fact, physician burnout and depression have become so widespread, the Boston Globe recently referred to it as a public health crisis. To most people outside the occupation, this is inconceivable. After all, working in medicine allows you the opportunity to make a positive impact on people’s lives, and physicians are generally very well-compensated for their efforts. What’s there to be depressed about? As healthcare regulations increase, so do doctor’s stressors. For example, instead of spending quality time with their patients, they’re often drowning in federally required paperwork and insurance documents. And EHR systems have become so complex and cumbersome that what was once simple data entry is now a meticulous, time-intensive process. This means, even after an exhausting 12-hour shift, many physicians spend a significant chunk of time handling EHR documentation after hours. Most physicians are well aware of the time commitment associated with their profession (and if not, they quickly learn it during their residency). But their already long hours are becoming longer, and their schedules are packed to the brim. For example, pediatrician Karen Ailsworth, MD, reported having to see a patient every 15 minutes after an HMO bought the practice where she worked, according to her account in Medical Economics. And 80 percent of physicians across all specialties say they’re at or over capacity, according to a 2018 report by The Physicians Foundation. And overworked doctors are much more likely to make mistakes, which is why this crisis could become even more deadly. When doctors have less time and energy to dedicate to their patients, quality of care suffers. It’s only natural that patients become frustrated. And when patients feel dissatisfied or ignored by overworked doctors, they can become less cooperative and less invested in their care plan, which in turn adds to doctor’s stress. While some healthcare organizations may overlook these concerns, it’s in their best interests to quell burnout as quickly as possible. Especially given that early retirement among doctors could lead to a physician shortage, which will only exacerbate existing issues. 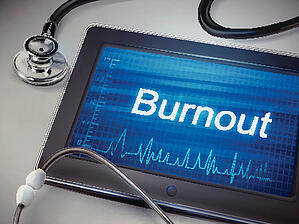 So what can be done to reverse physician burnout and improve patient-provider relationships? Make mental health a priority. Healthcare organizations should increase physicians’ access to mental health care. And state licensing boards should help normalize mental health needs by asking about a doctor’s ability to safely practice rather than probing into their mental health. Start with leadership. All hospital systems should employ a senior executive who is solely responsible for making sure all workers are healthy, such as a chief wellness officer. This person can help identify and resolve burnout and the internal factors that cause it. Limit work hours. Many organizations already have limits on physicians hours, but they’re not always enforced. By reducing work hours, hospitals can help doctors avoid burnout and the resulting errors and patient dissatisfaction. Additionally, hiring medical scribes can help offset some of doctors’ administrative burdens. Physician burnout isn’t something that can be solved overnight, but ignoring this issue will only lead to worsening outcomes. By following these tips, healthcare providers can improve the experiences for physicians and patients alike.